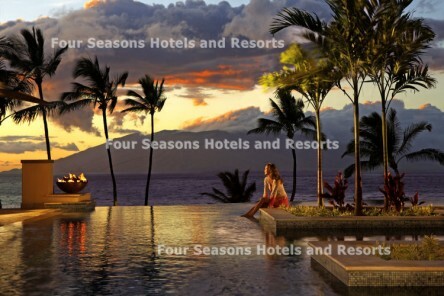 A luxurious haven in one of the most scenic places on earth, The Fairmont Kea Lani Maui rests gracefully on Polo Beach, on the sunny southwest shores of Mau’i. 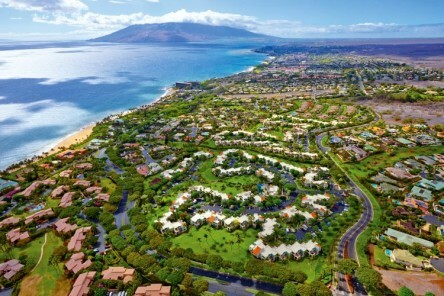 Ultimate luxury on the heavenly white sands of Wailea. 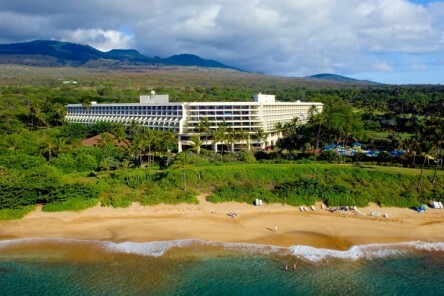 With lush tropical gardens and the dramatic peak of Haleakala as your backdrop, relax in Maui’s largest resort guest rooms and suites, which also boast the island’s largest hotel bathrooms. Fine Dining – The Kea Lani offers four special restaurants to tempt you, each with its own unique flavours and atmosphere. Lounge on the world-renowned Polo Beach or enjoying a leisurely swim in one or the three crystalline pools. The full-service Spa Kea Lani and salon offer a wide variety of treatments and services designed to pamper their guests. Their fully equipped Fitness Center provides the perfect indoor exercise routine. Keiki Lani, the children’s program, offers many fun supervised things to do, and full service activities desk links you to a variety of water sports and other popular island activities. Five of Mau’i’s finest Championship golf courses are close by as are two first class tennis clubs. Each of the spacious suites feature a minimum of 840 Sq. Ft. of luxurious living space including one bedroom, extra-large Italian marble bathroom with deep soaking tub, separate living room with full entertainment system, and a large furnished lanai. “Compulsory Daily Resort Fee” if applicable will be advised at time of booking. Lead Price based upon: Fairmont Suite. For alternative room categories and rates please contact us. Special Offer: Savers Promotional Rate. For additional room categories and offers please contact us. Use one or more of the drop down lists to search for your accommodation, click Search to view the results. Check this box if you would like to view only accommodation on offer in the search results.